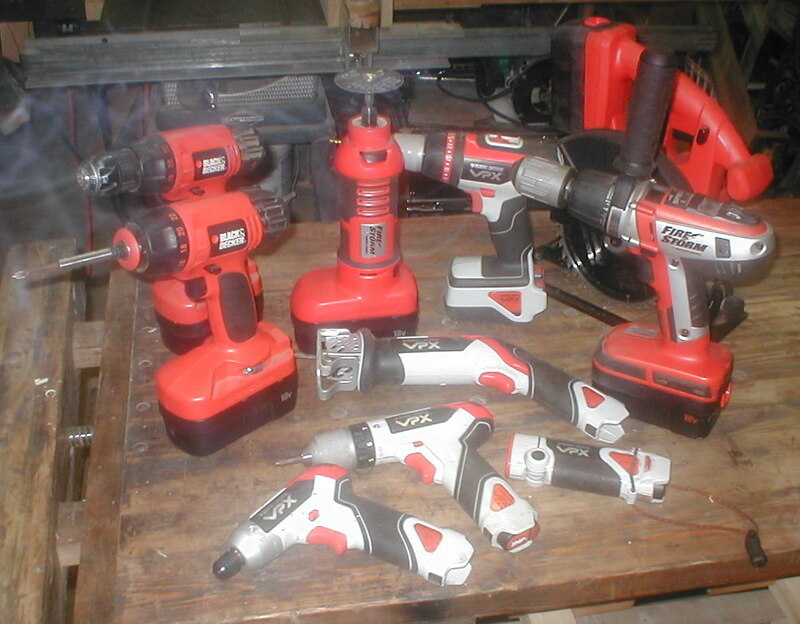 I have a 24v dewalt drill which shares the batterys with the circular saw and reciprocating saw that i have. dewalt dont make a torch in the 24v range and the wickes one i have has a defective battery. i Noticed that the bulb in the 18v torch could take over 24v and after looking at a few instructables on related subjects i decided to take the plunge. i dug out my old drill which is beyond economic repair and thought about how to graft the two together. by cutting the battery holder part off the drill and sticking it to the torch (after cuttung the battery holder off that). i then got the can of yellow plasticoat and gave it a good shake before giving the new torch a light coat then after half an hour another heavier one. this i left for an hour before one last coat. i cant wait for it to dry so i can build it back up. once all put back together i have a functioning torch for work that shares my drill batteries and clears the back of my van of batterys and charger for the old one! it works really well. Torch is the word for flashlight on the other side of the pond from the US. as an englishman a flashlight is a device for taking photos in the dark!!!! that would be no good for looking under floorboards or crawling through attics!!! and yes i did just look that up in my ENGLISH dictionary!!!! Torches are what the villagers carried when they chased the Frankenstein monster. What you have there is called a flashlight. Now what you need to do is convert it to LED light. Those little filament bulbs are about as antiquated as the torches the villagers were carrying when they were chasing the monster. Modern LEDs are super bright, and running off that battery they'd last about as long as your battery can hold a charge with no load too. The little flashlight in this picture is mad bright, and lasts for months at a time.